See the WSU Libraries Subject Specialists list to find out who to contact about these activities in your subject area. 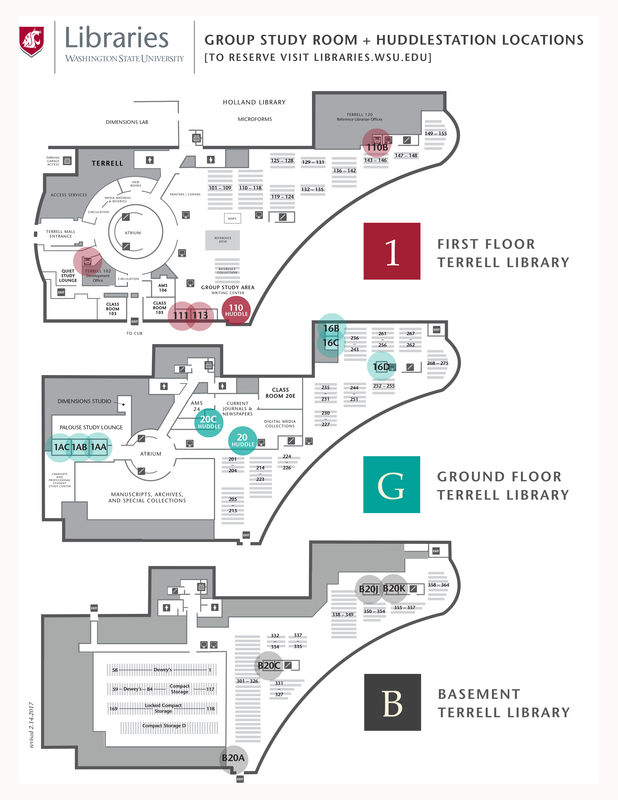 Holland/Terrell Libraries are located at the core of the campus on Glenn Terrell Friendship Mall and serve the College of Liberal Arts, the College of Business and Economics, and some departments in the College of Agricultural, Human, and Natural Resource Sciences. 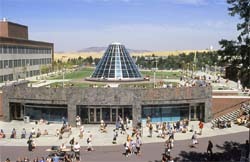 Holland Library was built between 1948 and 1950, and was named after the former Washington State College President Ernest O. Holland. Designed by John Maloney, Holland Library was one of the first buildings to be constructed with modern functional architecture. Maloney also designed other buildings on campus such as Todd Hall, Compton Union Building, and Johnson Tower. 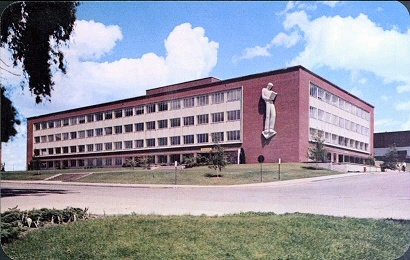 The Library's most distinctive detail is a 30-foot high statue on the building's west side, near the original main entrance. This statue was designed by Seattle artist Dudley Pratt, and officially named "The Reader." It was carved in Bedford, Indiana, the source of the limestone used on this and several other campus buildings, especially Todd Hall and Smith Gym. The statue has long been known informally as "Nature Boy," a name recognized by popular music fans as a famous song recorded by Nat King Cole in 1948. Terrell Library opened in 1994 as the "New" Library (or "Holland Addition") and was named for former University President Glenn Terrell in 2006. In 2008, a new tunnel was built to connect the ground floor of the remodeled CUB with the first floor of the Terrell Library. The Holland/Terrell Libraries house collections in anthropology, architecture, comparative ethnic studies, business, human development, communication, American studies, criminal justice, economic sciences, English language and literature, finance, fine arts, foreign languages and literatures, higher education, history, hospitality, law, music, philosophy, political science, psychology, religion, sociology, sports and leisure, theatre, and women's studies.